I didn’t have the promise, but I had undertaken going to the pizza dinner as a replacement who couldn’t go because of ill. 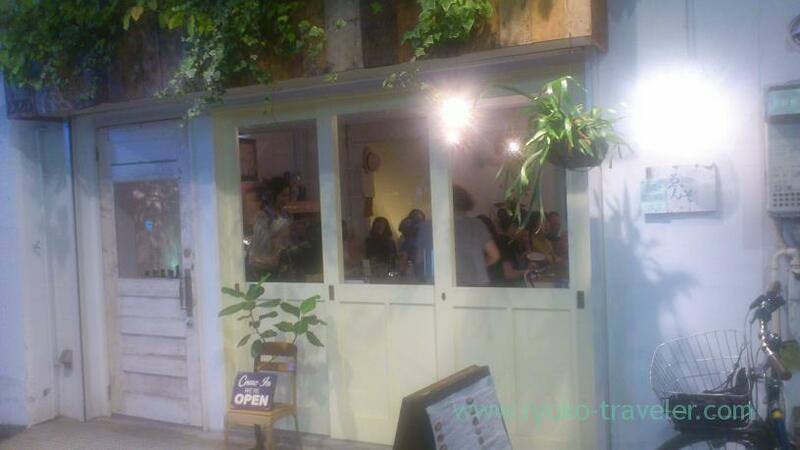 The restaurant stands in Asakusabashi. 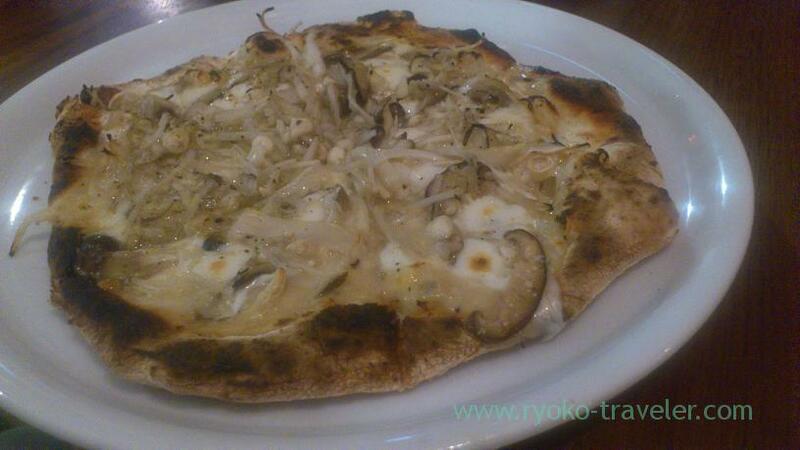 I heard that we can eat pizza inexpensively at the restaurant. Sweet and tasty. 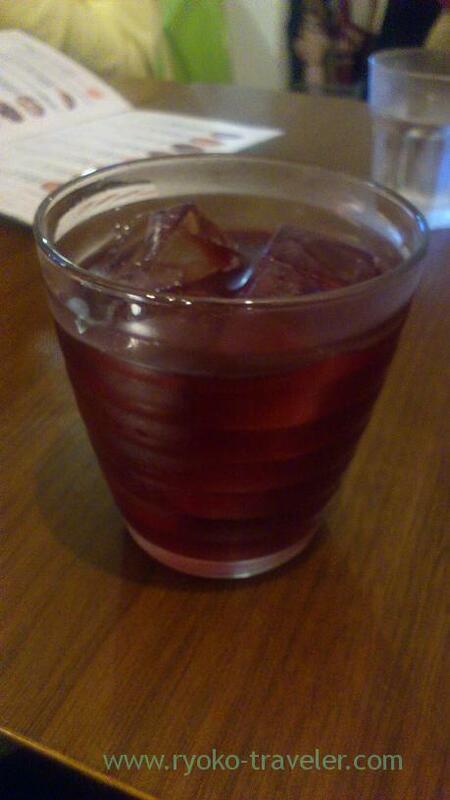 I didn’t like sangria because I had bought and drunk “sanria juice” at the convenience store ever and it was so bad. But this sangria was tasty. 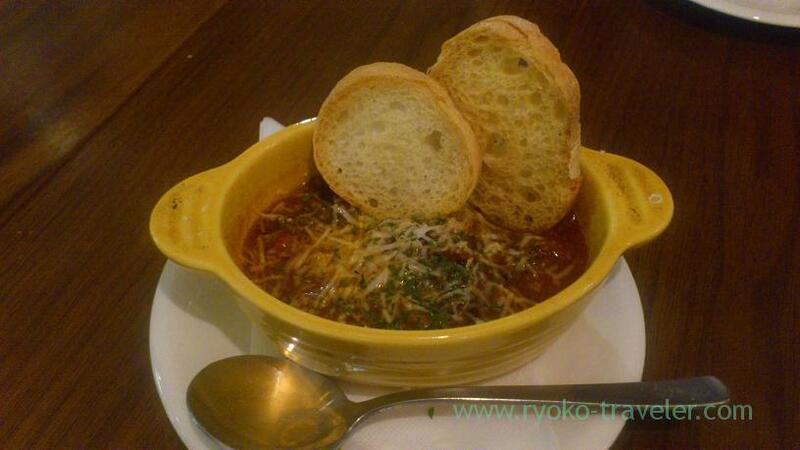 Before eating pizza, we ordered some another dishes. This tomato was tasty. 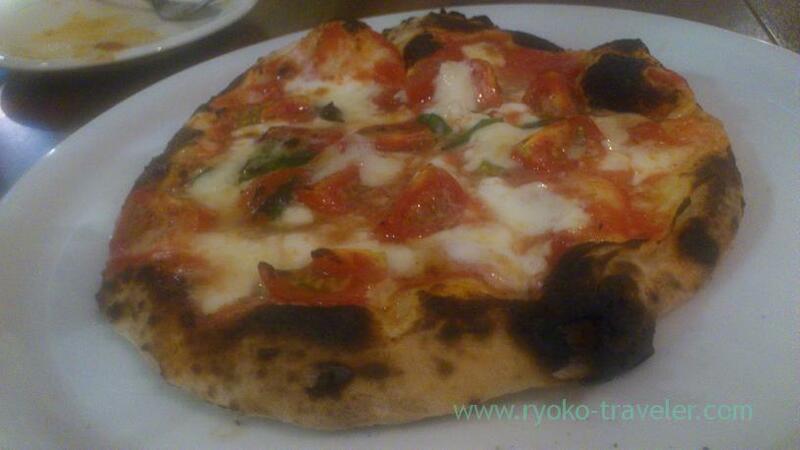 I thought that pizza must be good by such a good tomato! 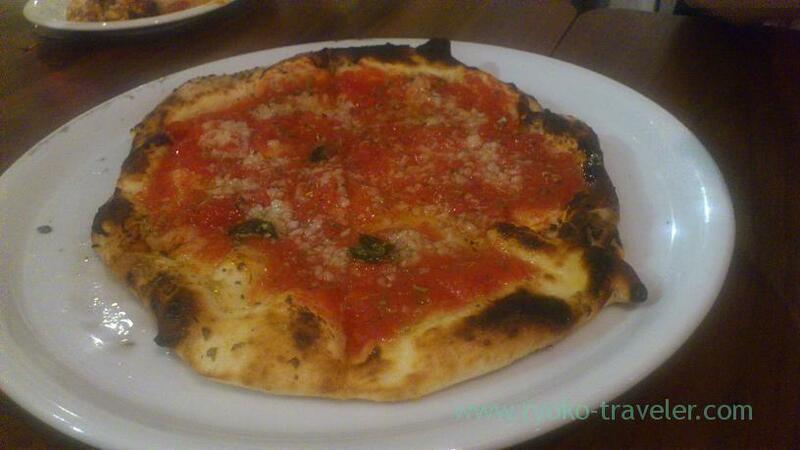 Thick tomato sauce was so good. And then, we ordered and ate pizza. This margherita’s cheese is buffalo’s. 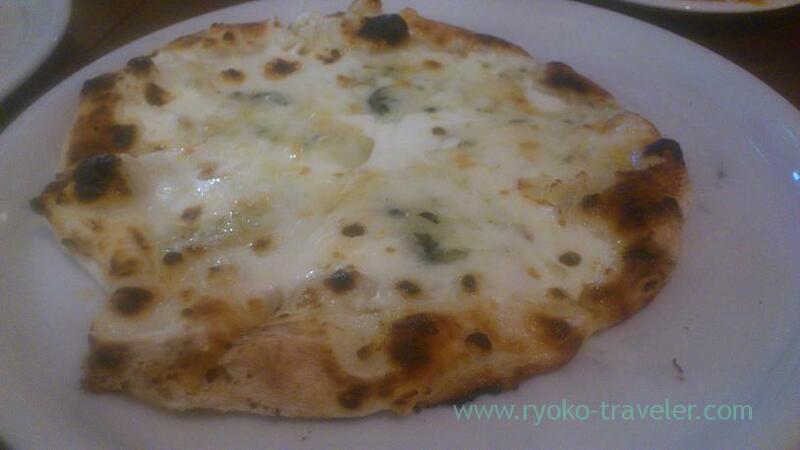 Ordinary mozzarella cheese’s is 500 yen. Cheese and tomato was excellent. Amazing ! This marinara is awesome. Sooo tasty. 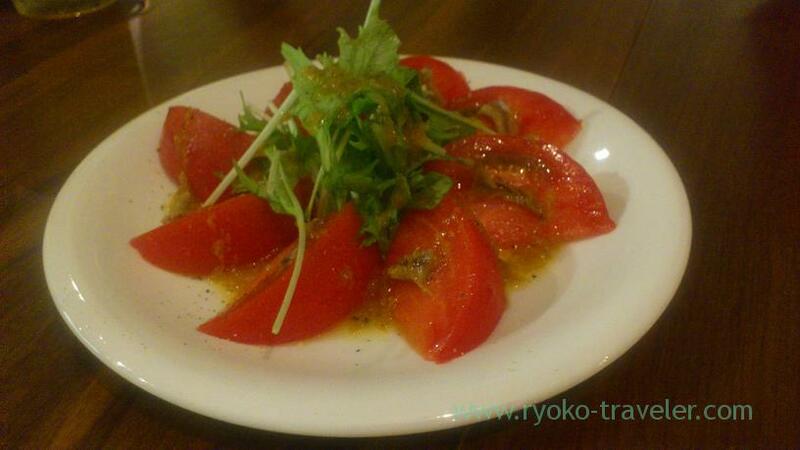 I was impressed by the taste of tomato, garlic and onion together. Four kinds of cheeses were on it. 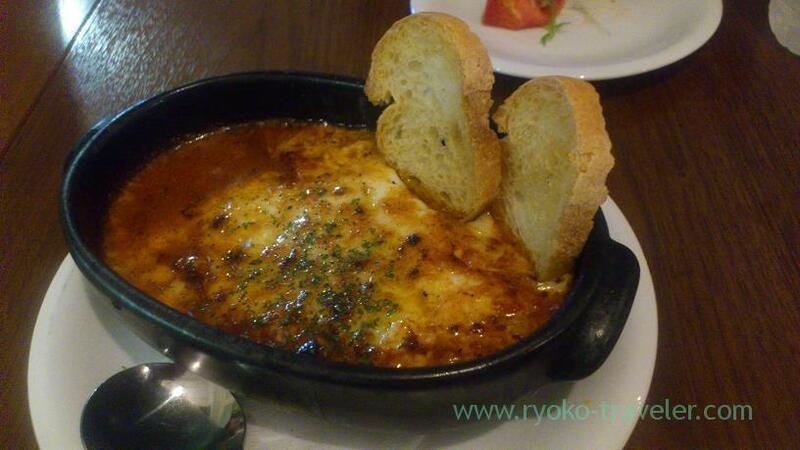 I love cheese and those cheeses were tasty, but somehow I couldn’t satisfied ….